للمسافرين الذين يرغبون أن يعيشو كل ما تقدمه مورينجتون بنينسولا, Woodman Estate هو الخيار الأمثل. يقع مركز المدينة المثير على بعد 1 km فقط. يوفر الفندق بفضل موقعة الجيد وصولاً سهلاً إلى أهم معالم المدينة.
. يقدم Woodman Estate خدمات لا غبار عليها وكل أشكال اللياقة وحسن الضيافة اللازمة لإسعاد ضيوفه. تتضمن الميزات الرئيسية في هذا الفندق: واي فاي مجاني في جميع الغرف, مرافق مخصصة لذوي الاحتياجات الخاصة, تسجيل وصول/خروج سريع, تخزين الأمتعة, واي فاي في المناطق العامة. تتضمن كل غرف النزلاء وسائل الراحة والتسلية المصممة خصيصاً لضمان الراحة القصوى للضيوف. يقدم الفندق خدمات رائعة كمثل تدليك, ملعب تنس, حديقة, رياضات مائية (غير آلية) لمساعدتك على الاسترخاء بعد نهار طويل من النشاط والتجوال في المدينة. إن Woodman Estate هو خيارك لخدمة الفنادق الراقية في مورينجتون بنينسولا. Location was beautiful and their service was amazing. A wonderful place that has a very personal touch. The property is in excellent condition. We had a regular room that was large with a sitting area. The bed was huge and comfortable. The bathroom was well stocked as was the mini fridge. The breakfast was phenomenal and we wished we had dinner at Woodman but we had eaten late in Mornington so chose not to eat dinner at all. Next time... The row boat is a nice touch for a quiet float about on the lake. Really nice place, we would definitely stay again when in the area. 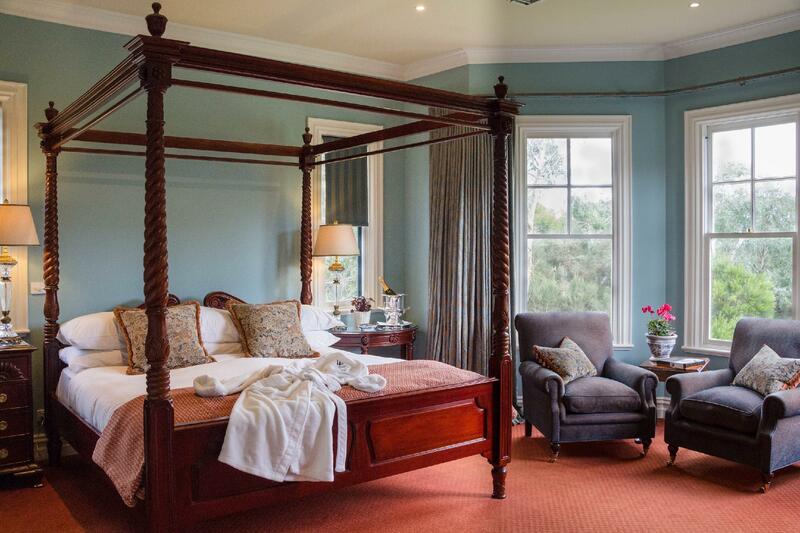 Great accommodation & location for exploring the Mornington Peninsula. Friendly & attentive staff. One night stay New Years Eve 2016. Unbelievable welcome from Michelle. She made us feel welcome & relaxed at 1st sight at this magnificent stately mansion. Showed us around & introduced all the many features. Rooms are well appointed & charming with loads of style. Looking forward to dinner at the open and roomy restaurant. Tables are beautifully made up for our 5 course degustation. there's a lake with a track to walk around and day spa centre as well. I highly recommend staying here if you're in the area. 15 minute drive to the beach as well. Woodman Estate is a wonderfully maintained luxury escape. From the moment you drive through the gates to the amenities and services, everything is thought of. 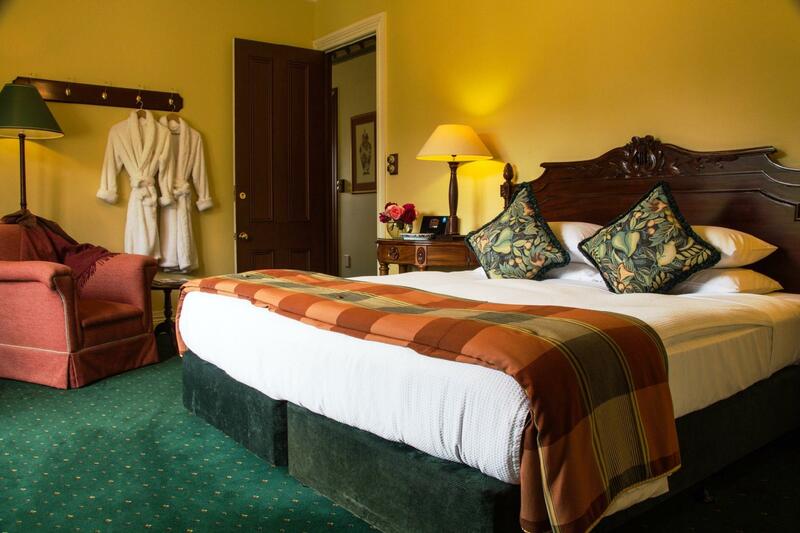 The staff are efficient and welcoming and the rooms, gardens, lake amazing. The food was magical, every bite crafted with care and skill. A special place to escape from the every day. The open fires and cozy seating areas are wonderful for reading books and relaxing. The bar and pool table were great fun and to top it all off, one of the best ranges for breakfast I have seen, especially since my stay was mid week. The high tea looked breathtaking and I can honestly say this was one of the best accommodation retreats I have ever stayed at. Every area was 10 out of 10. Even the cleaner was passionate about her work making sure this beautiful mansion sparkled, not a speck of dust anywhere. Great job and congratulations to the team there. Our getaway was most memorable and next time I hope to share it with friends. I would even recommend just popping in for the food alone if you are in the area as it was delicious and really something special. Mind you after such wonderful generous fare walking around the lake a few times was a must for my son and I. You don't need to pack anything every thing is thought of and available. Loved the turn down service something I had not seen for a while in my travels. If your in the area well worth considering. There are not enough superlatives to describe this place. Really. Its the second time my partner and i have stayed here. The first for her birthday and the second because I know she loved it so much it would be a perfect place to propose. The staff, rooms, restaurant, service, gardens, lake, ambience, breakfast - everything - is wonderful. Highly recommended, especially if you are a couple and you are looking for a special, memorable place to stay. Very pleasant stay. The upgrade was unexpected! Due to a function we were unable to dine at the restaurant, however Rick the owner recommended a number of eateries nearby, & we had a great meal at Williw Creek Winery, about 15 min by car. It was a great experience that sleep in Woodman Estate, the staffs are all friendly, the french 8 course dinner for valentine's day is nice, it takes around 2 hours to finish. All the food is fresh, fantastic, I extremely love the private spa that we booking in. 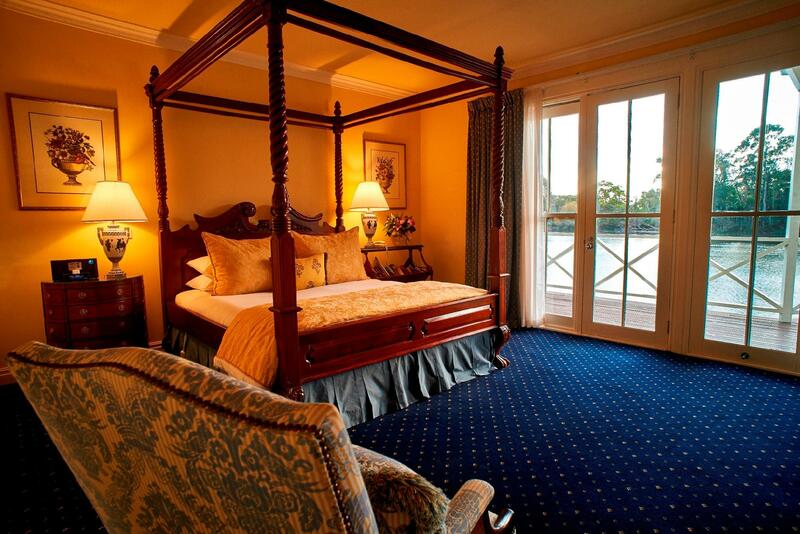 The king size bed also comfort and soft, the environment is nice and the air is fresh. Surely would come back in next time! It is a bed and breakfast but they only made breakfast available from 8:30am-9:30am. It was too early for us as we wanted to have a sleep in! 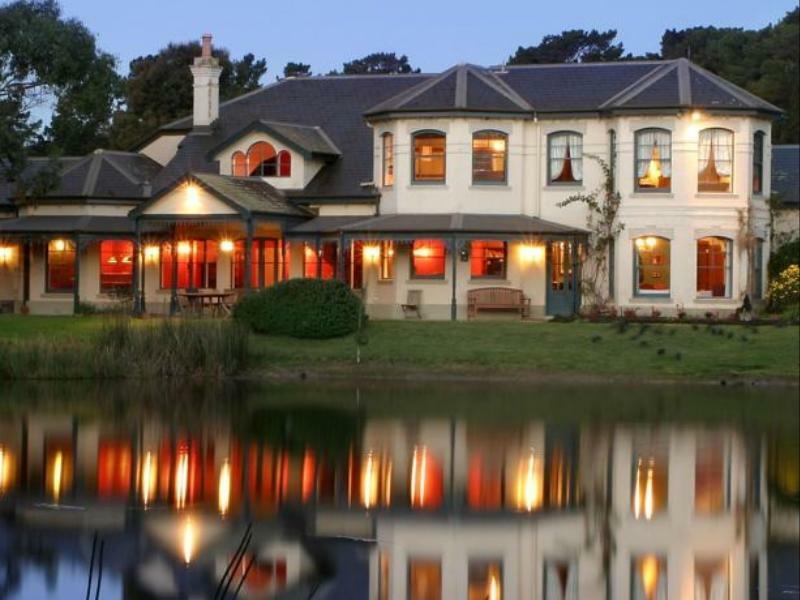 the lake, the main house & the spa! !